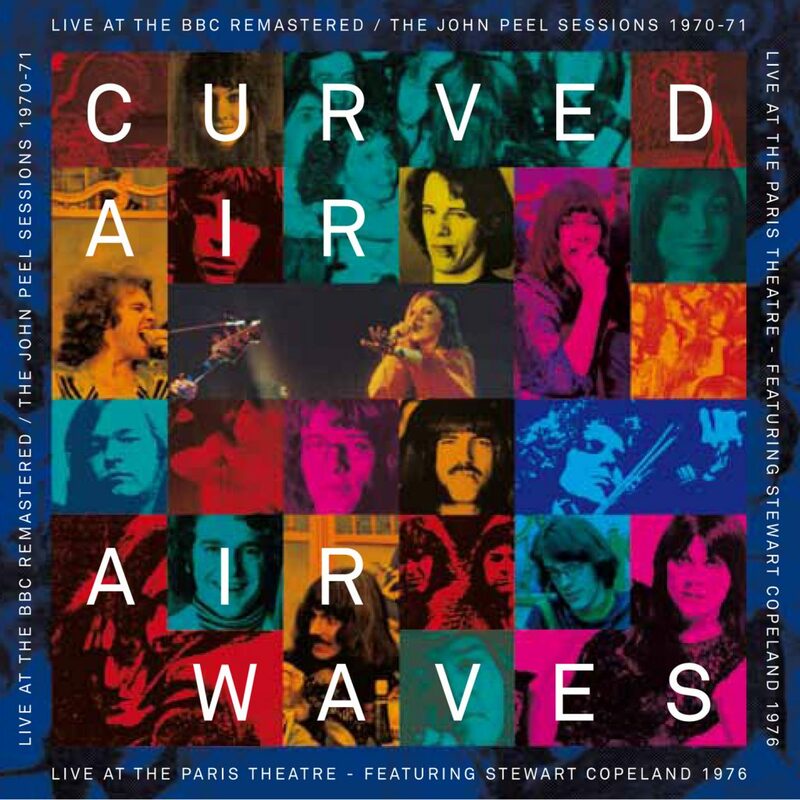 Review: Curved Air Live at the BBC – Cleopatra Records, Inc. The tracks vary in length from track 6, �Blindman,� the shortest at 2:45 to the last track, �The Fool,� which is the longest, clocking in at 6:43. So, let us start the journey into the past and see what we think of some classic live prog rock. The starting track of the set is �It Happened Today� (4:39) and is quickly into driving bass/drums with the characteristic violin of Darryl Way picking out an amazing riff, just before the superb voice of Sonia Kristina joins in. This is arguably one of the most recognizable Curved Air songs and shows the band at their best right away, highlighting the Curved Air sound. At 2:45 there is a sudden change of pace and the violin takes on a much mellower laid back melody which demonstrates the skills of Darryl Way as the track meanders to its conclusion. What a fantastic start to the album. Second track up is �Propositions/What Happens When You Blow Yourself Up� (5:24) and we are straight into a driving beat with Darryl�s violin to the fore before the main vocals of Sonia appear with Darryl contributing backing vocals. Terrific guitar from Francis Monkman maintains the momentum before there is a change of pace with Sonia back in with the vocals and excellent piano. Around the 2:45 minute mark, wonderful keyboards take on the melody while the bass/drum �engine� gurgles away in the background. The track builds until 4:30 when the original violin theme returns and Sonia�s vocal reappears to take the track out. A touch of the classical strikes with track 3, �Vivaldi� (6:26) with the violin of Darryl and the guitar of Francis interpreting a bit of Vivaldi before there is a real �tongue in cheek� passage by Darryl on the violin, and not exactly what you would expect at a �prog� concert. Darryl then proceeds to make the violin sound unlike a violin as a prelude to the vocals (Sonia) entering with a sweeping piano passage. Just around this point however, the track seems to lose direction for a short while before Darryl returns with the intro theme and is joined by more terrific guitar work by Francis and this just about rescues the track, but there is still the feeling that this was a weaker track. Track 4, �Young Mother In Style� (5:14) opens with a memorable keyboard melody, joined by bass/drums and the violin prior to Sonia�s vocals entering. This is the first track to move on from the first album (Air Conditioning) and even live, there is a subtle change in the structure and energy. Violin takes the lead and the keyboards sweep in and out behind this instrument, allowing Darryl to show his proficiency on the violin, but there is again the feeling of lack of direction and indeed the keyboards sound slightly out of place. Sixth track of the album is �Blindman� and it has a piano, bass and drums intro with a huskier voiced Sonia making the track a little bit different. Again this is a gentler approach to the earlier material but I am starting to detect flagging in the energy and �oomph� factor and the track fails to impress. Up next is one of the previously unrecorded (studio) songs, �Thinking On The Floor� (4:02), and this has a much higher energy start, and although the trademark violin of Darryl is there, it is much more melodic and subdued, while still driving the track along. A terrific staccato-like vocal by Sonia and the track picks up the interest that had started to fade. There is also a superb violin solo by Darryl as the song drives towards its finale. Track 8, �Stretch� (4:35), has again a Darryl (violin) start and we seem to be back �in the groove� suggested by the earlier tracks. Every instrument just seems to be right on this track, violin/vocals/guitar and rhythm engine. It is interesting to find that we are again dipping into the debut album. Interplay between the guitar and violin is excellent. A distinct shift in proceedings is apparent at the outset of track 9, �Stark Naked� (5:44), with audience noise being heard easily. This is more of a rock like track and although the lead instrument (i.e. the violin) is there, it seems to working at a slower pace, but after this interesting start, there is a point where track is on the verge of losing me. At that point however the violin neatly steps aside to release Mick Jacques to bend his guitar strings a little more than Francis Monkman (guitars on tracks 1-8) had done earlier. This is a very definite heavier sound with everyone contributing well to this out and out rocker. Track 10, �Woman On A One Night Stand� (5:42), sees a more bluesy start with Sonia�s excellent vocals and Darryl�s violin in and out with lead riffs. A very different sound shows the diversity of the band and this catches the interest of the listener. It is an excellent, if unexpected, track with a very different �gutsy� voice from Sonia. �Midnight Wire� (6:20) continues this bluesy feel to the music and again is a very impressive track, but far removed from the early work of Curved Air. It is also interesting to note that since track 9 we have moved onto the 1976 live recordings, showing that the personnel changes certainly influenced a change in the musical direction. The penultimate track, �Hot �n� Bothered� (3:02) has Sonia showing both power and emotion in her voice on this driving rock song. Darryl�s violin is there in the background with a few runs from time to time, before taking the �front of the stage� around the halfway point and letting rip with the instrument. The rhythm engine underpins the track with a marvelous rock beat and Sonia returns to take the song out. This track is short but sweet. The longest track finishes the album, �The Fool� (6:43), with an introductory drumbeat into the ever present violin and some good old audience participation. This is yet another driving rock song with terrific interplay between violin and guitar behind the vocals. Darryl again gets the chance to �solo� but he is definitely part of the band whereas in the earlier tracks he seemed to be leading while the others followed. Excellent Darryl (violin) and Mick (guitar) interchanges, which seems to be more of a feature in these later tracks. This is an excellent album, simply because it catches the bands musical changes and would be an ideal entry point for anyone �trying out� Curved Air for the first time. Diehard fans of the band I feel will have the original release (1995) but might want to collect any previously unreleased material from the band.